Editor’s note: this blog is the tenth in a series discussing trends and insights into the world around us. We are at the dawn of a new age of luxury, where extravagance and pampering are being defined on new terms. Shifting from dinner jackets, opulence and excess, there is a desire for a more personalised experience, with relaxed dress codes, product transparency, fluid social behaviour rules and, most importantly, comfort. With a growing consumer focus on health and wellness, as well as greater fluidity in our work lives, a shift in the fashion industry has presented us with a new informal wardrobe. Who ever said that fashion and comfort were mutually exclusive? 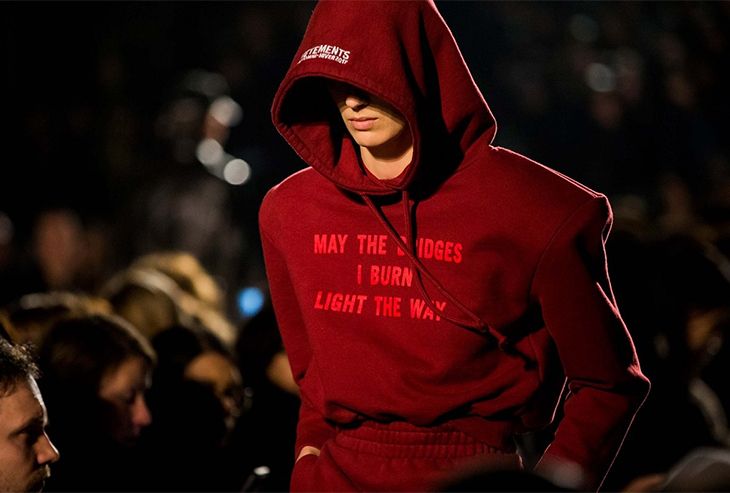 Since Chanel’s SS14 collection presenting couture with embellished trainers, cutaway hoodies in Vetements’ SS17 show and the rise of the Lululemon lifestyle tribe, showcasing an active lifestyle has never been cooler. This has been further solidified by the fact that Morgan Stanley reports "sales in the active and athleisure apparel and footwear categories are predicted to grow to $400bn by 2020 – representing a further growth of $80bn in the next four years." Balancing practicality and elegance, streetwear and high fashion, ‘athleisure’ has been re-imagined as the new relaxed luxury. Tapping into the desire for authentic, yet curated and bespoke travel experiences, new ideals of service are taking form. El Camino, a boutique travel company, aimed at tech savvy, adventurous travellers provides the latest must have luxury holiday accessory—a professional photographer who documents your trip and delivers a daily supply of Instagram ready photos. Being present on your journey and indulging in the moment, free of social pressures, is the ultimate luxury service experience for today’s digital nomad. Our desire to improve our personal health has advanced from meditation and massages into a new arena of tailored luxury. Taking cues from the elite beauty and fashion crowd, the new way to recharge and improve your wellbeing is to spend a week at a ‘Medi Spa.’ Part spas and part clinics, such as the Viva Mayr Maria Wörth clinic in Austria, they provide no-nonsense, strict Spartan regimes. They focus on improving your digestive health through therapeutic fasting and chew training with a dose of outdoor activities, with immediate results, including increased energy levels and glowing skin. So, what’s next step for extravagance? Will casual luxury head towards extreme comfort? The athleisure trend has already made way for a new way of dressing down, with a surge of luxury nightwear brands braving their way into the fashion market. Womenswear sleepwear brand Lunya focuses on "blending technology with smart data, extensive studies and rare fabrics scientifically proven to enhance the sleep experience," presenting extreme comfort at its finest. But, our ideals of premium have changed. From material goods to experiences to personal transformations, luxury will drive forward to focus on enhancing oneself and becoming a ‘better’ you. This movement will drive more brands to work harder to align their values with the new demanding consumer lifestyles, creating products and experiences that augment our quality of life. The new luxury landscape is personal. Kseniya is a lifestyle strategist in Gensler’s London office who collaborates with her clients and teams to design environments that facilitate enriching experiences. Fueled by a curiosity to understand human behaviour and cultural trends, she is intrigued by the intersection of design, research and consumer needs and the roles they place in creating meaningful spaces. Contact her at kseniya_sharin@gensler.com .